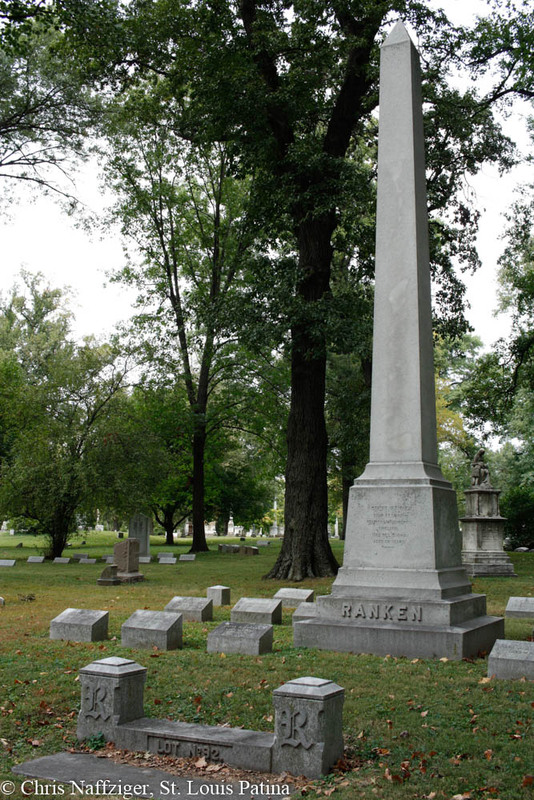 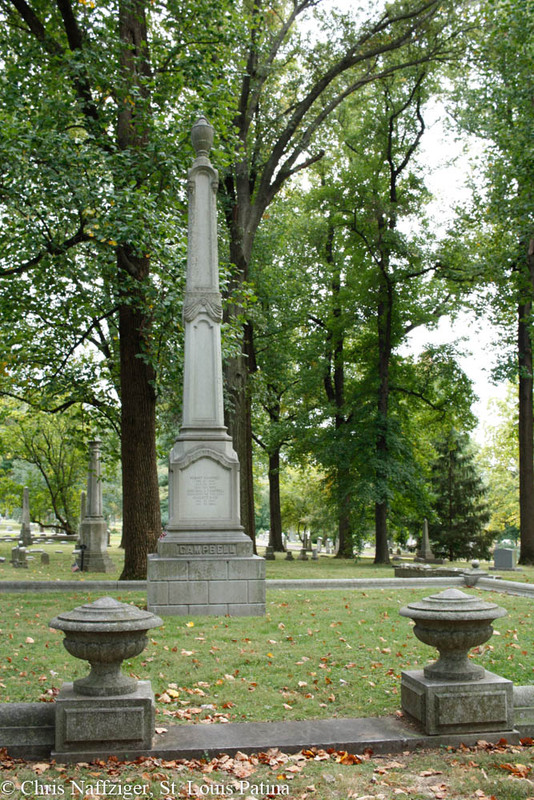 I stopped around the center of Bellefontaine Cemetery and noticed a couple of elegant family plots, including the Campbell and Ranken squares, each centered around an obelisk. 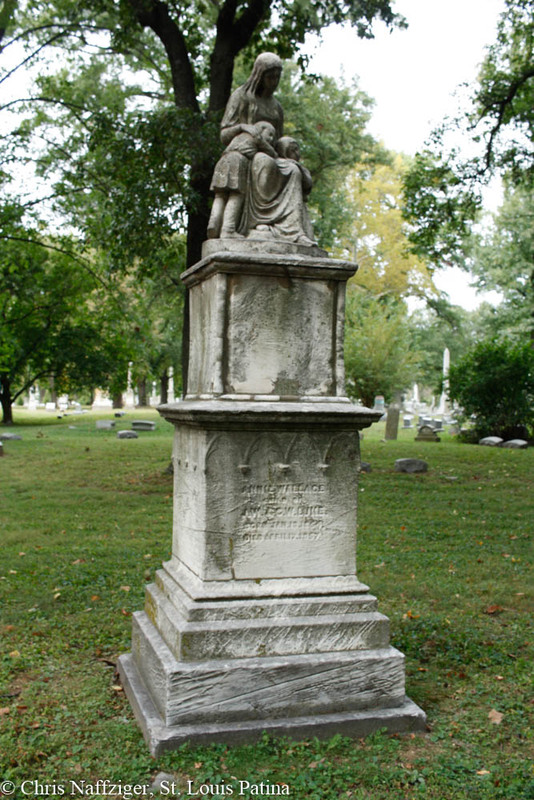 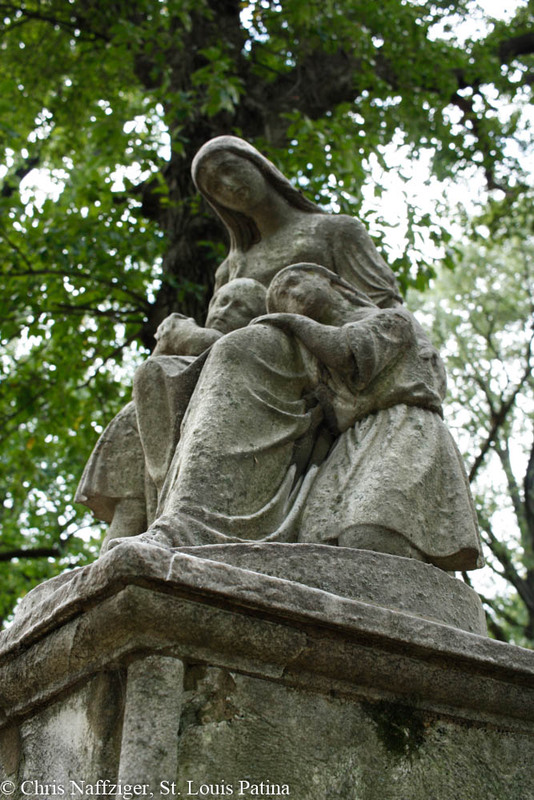 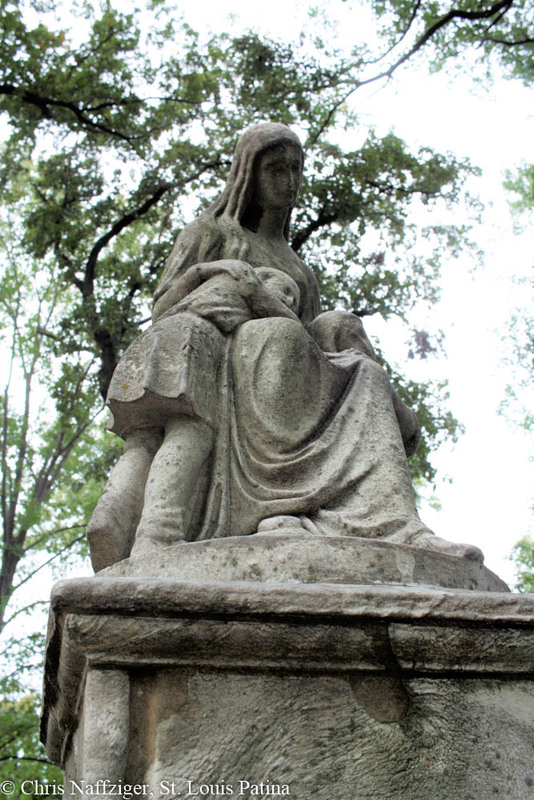 But I was also intrigued by this monument with a mother and two children. 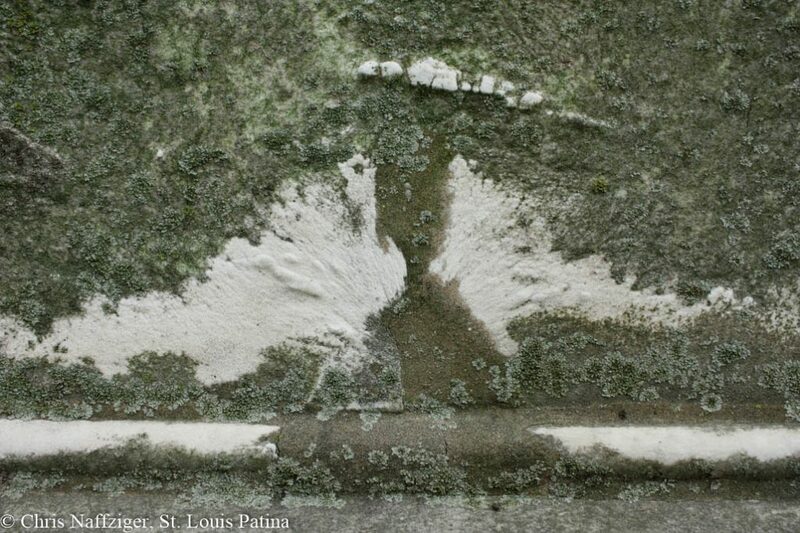 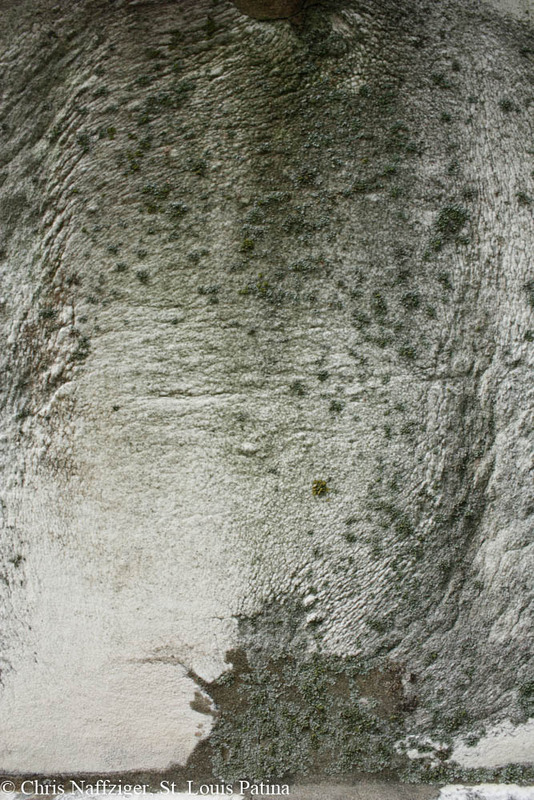 I love how the limestone has effervesced over the years, giving unique textures to the surface of the stone, almost creating the appearance of elephant skin or ice crystals.